Happy weekend everyone! 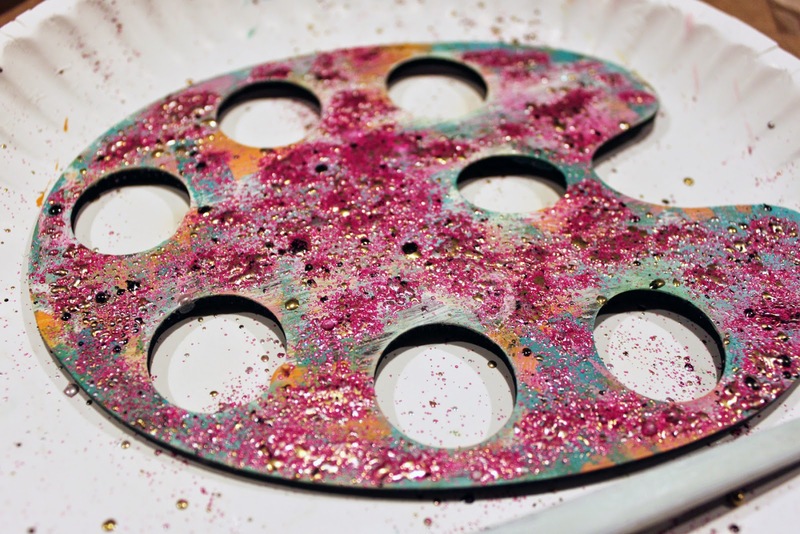 We have so many fun new goodies in the shop, and of course my favorites are the artist palettes! An idea that's been swirling in my brain for a while, so I was excited to design them for you. You're going to love them! 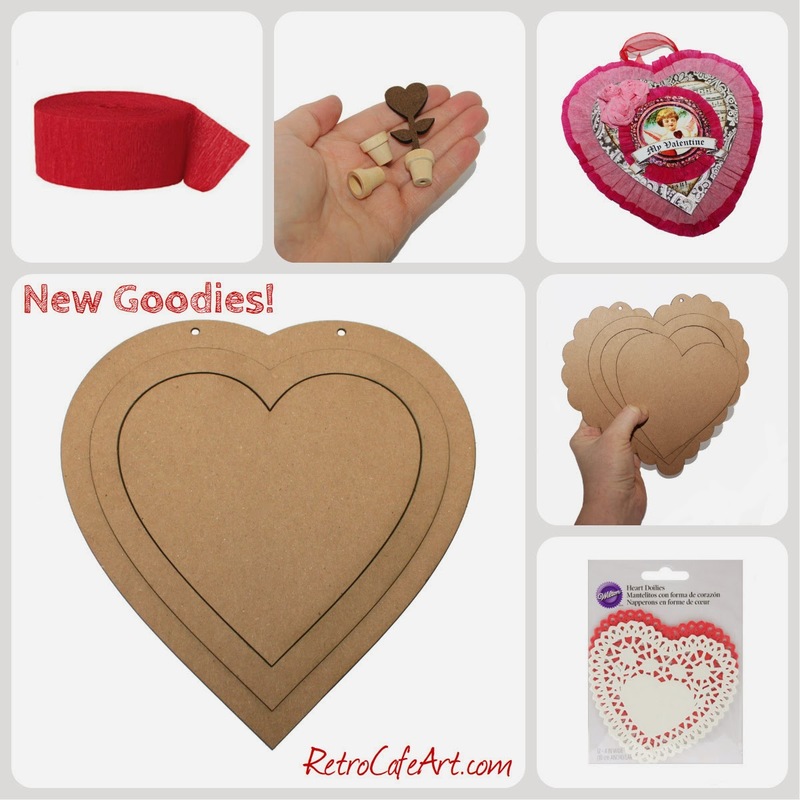 In addition to the New Goodies, be sure to check out our HUGE general Valentine's Day Section filled with 100s of great goodies, and our Coffee Break Design Valentine Section filled with tons of unique products! I absolutely HAD to play with one of the new Artist Palettes. I doesn't get much more fun than this folks! Like most of our products, there are SO many different directions you can go with these. 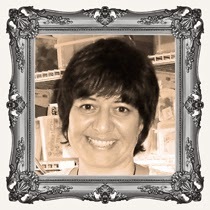 I wanted to use mine as a frame of sorts, to frame some fabulous Old Masters! 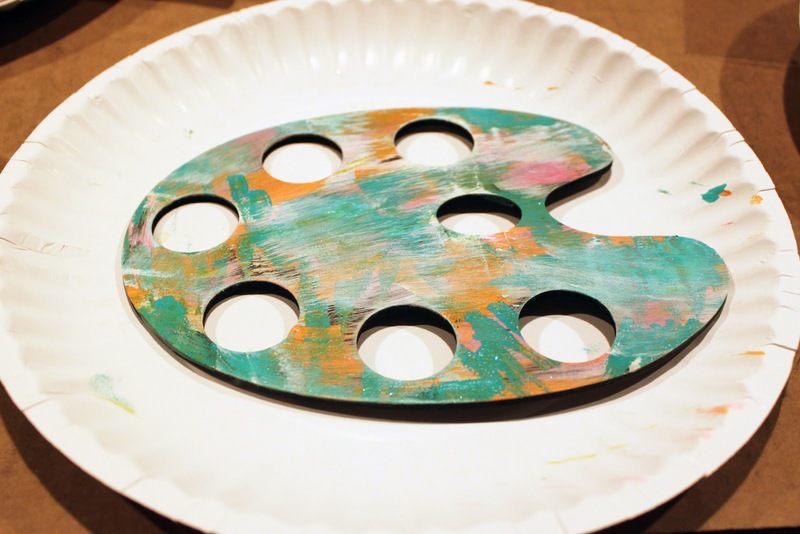 I love the way my Artist Palette turned out. I can't wait to make more! I started by randomly painting the top piece with acrylic paint. Just a few quick swipes with my brush in some of my favorite colors. 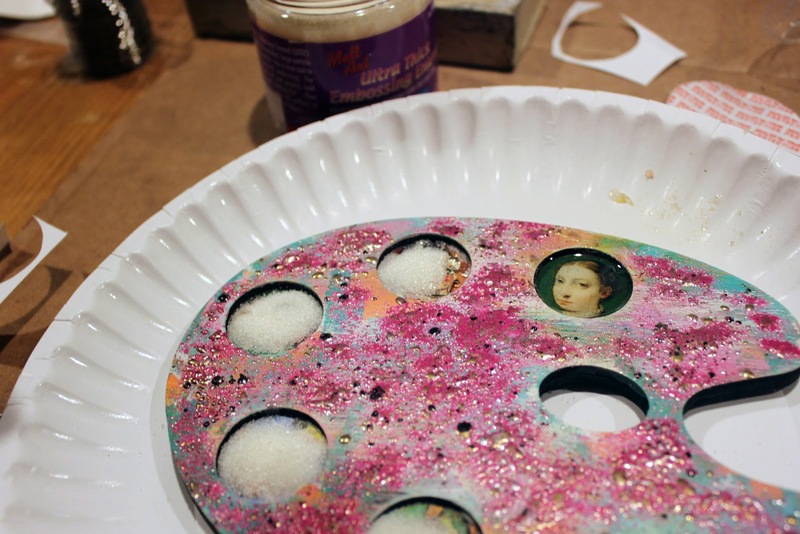 Next, I sprinkled on some Raspberry Relique Powder and melted with my heat gun. I've been wanting to try the Relique powders for ages, and let me tell you, they are FABULOUS! So much amazing texture and color. I'm in love. I just sprinkled it on randomly, melted, and then added more until I was satisfied. I love the color variation it creates. All from one small container! 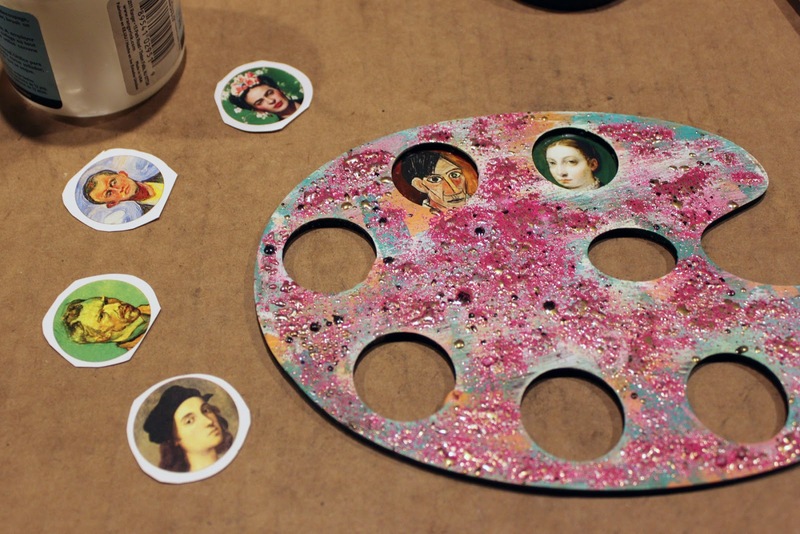 Using the Old Masters Collage Sheet, I cut out the images I wanted to use, leaving a small border around the edges. 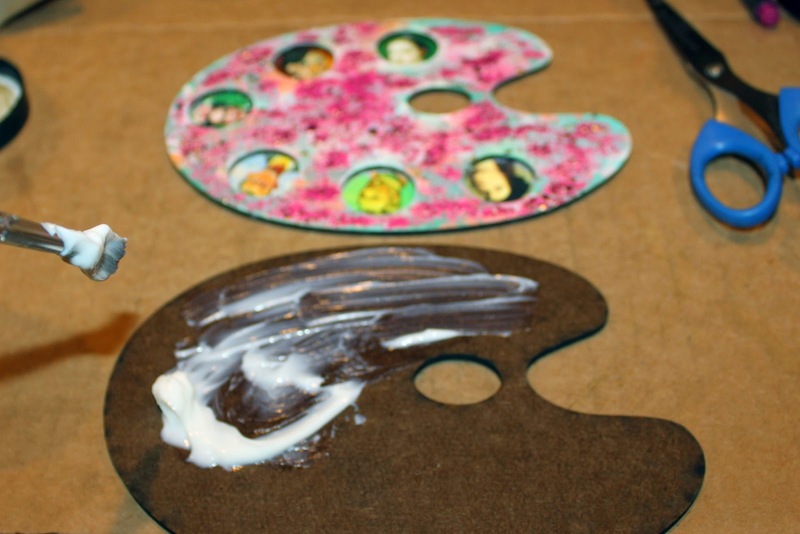 To make attaching to your palette a breeze, attach the images directly to the top piece using the paper border. I just added my glue to the back of the Masonite piece around the openings and then popped on my images. Once my images were secure, I generously applied glue to my back piece and attached them together. 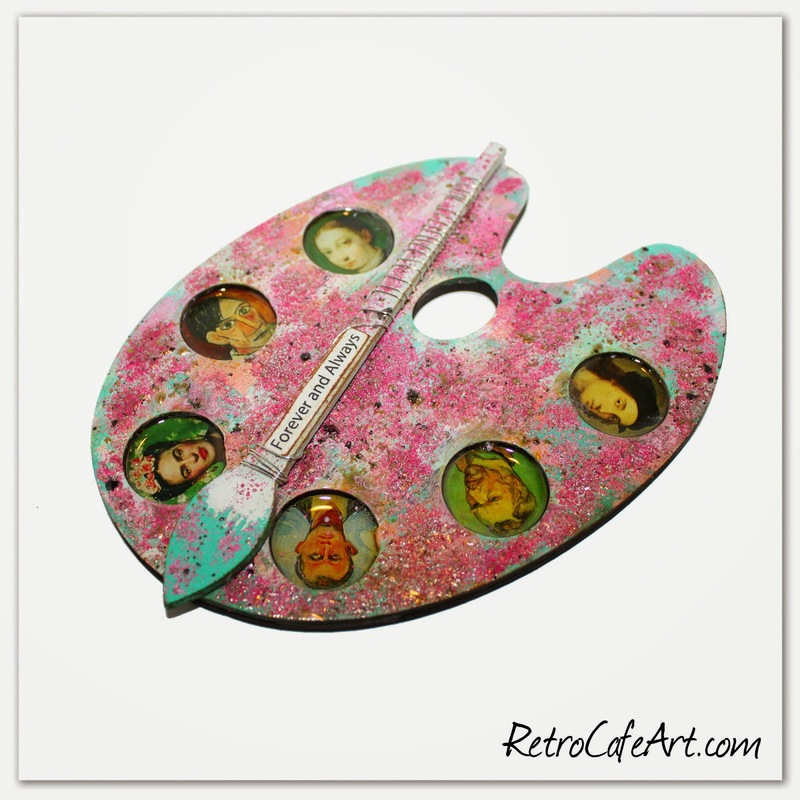 I filled my "paint wells" with clear UTEE and melted with my heat gun for a great resin look! I finished my brush in the same manner as the top of my palette, and added a word paper cut. I wrapped the brush handle with silver wire and attached to my palette! What a fun, artsy piece! 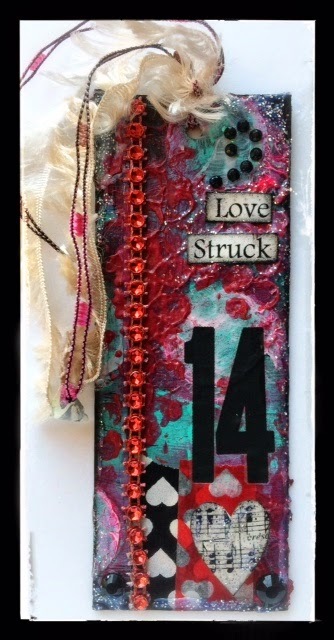 This sweet Valentine's Day tag is by Design Team Member Amy Nieman! I love all the texture, especially the Red Faux Rhinestone Ribbon! Wonderful Amy! 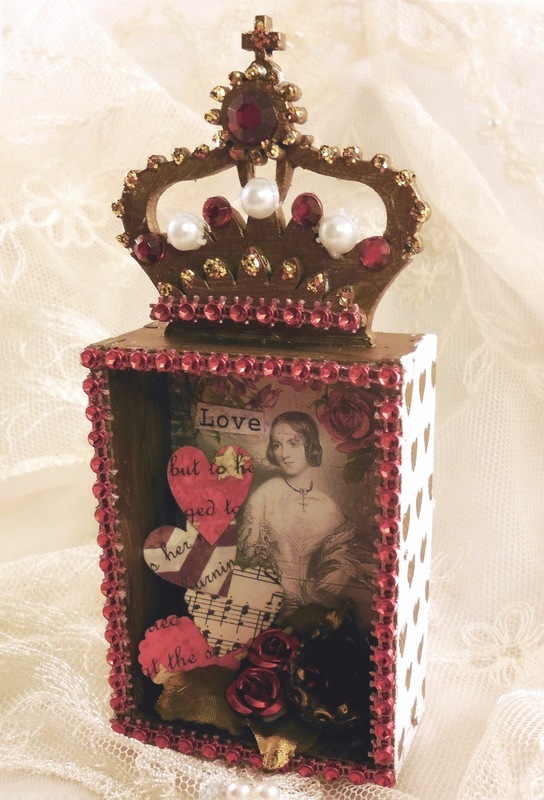 This gorgeous Valentine Hutch is by Design Team Member Linda Cain. I can't get over her awesome finishes. 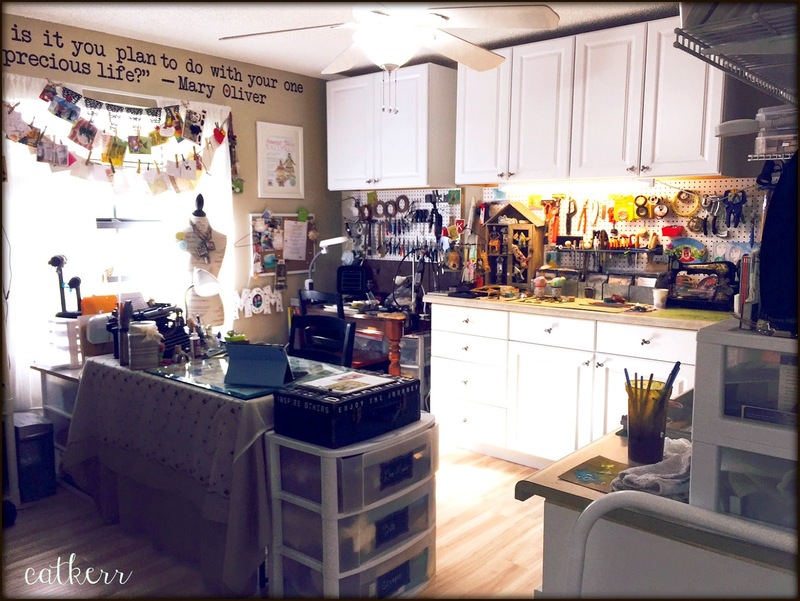 Hop on over to Linda's blog post for the complete supply list and some amazing process photos! Just fabulous Linda! 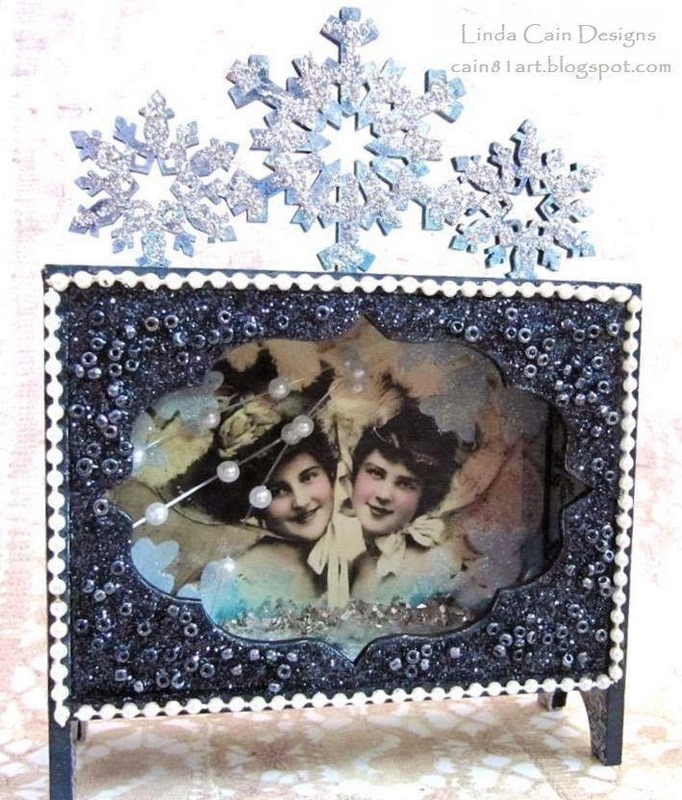 I'm loving this sweet tin ornament by Design Team Member Gerri Herbst! 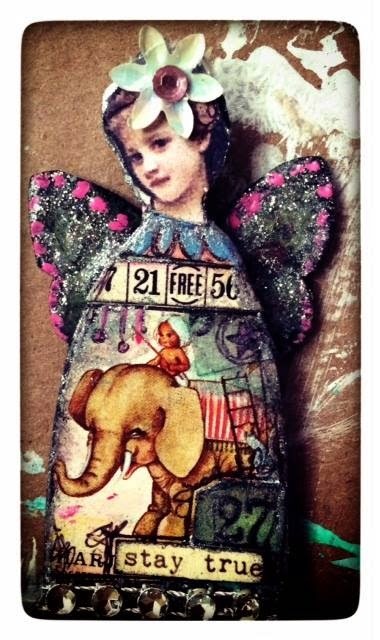 The Mini Primitive Angel is the perfect little embellishment! Adorable Gerri! 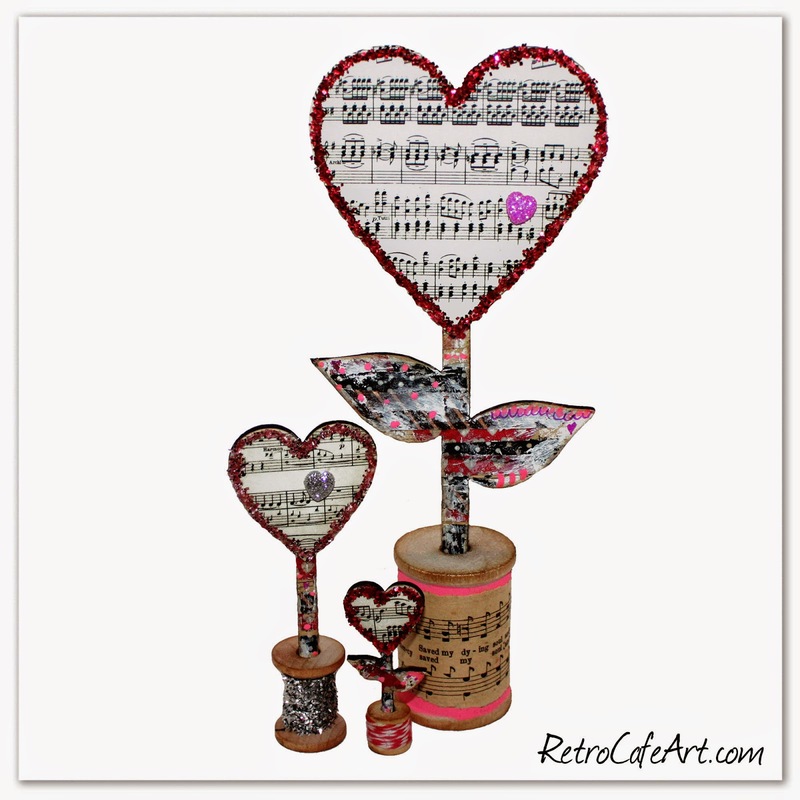 This Valentine Shrine by Design Team Member Lynn Stevens may get your heart beating a litte faster! The frozen charlotte with wings and arrow makes such a perfect little Cupid! Beautiful Lynn! Happy weekend everyone! 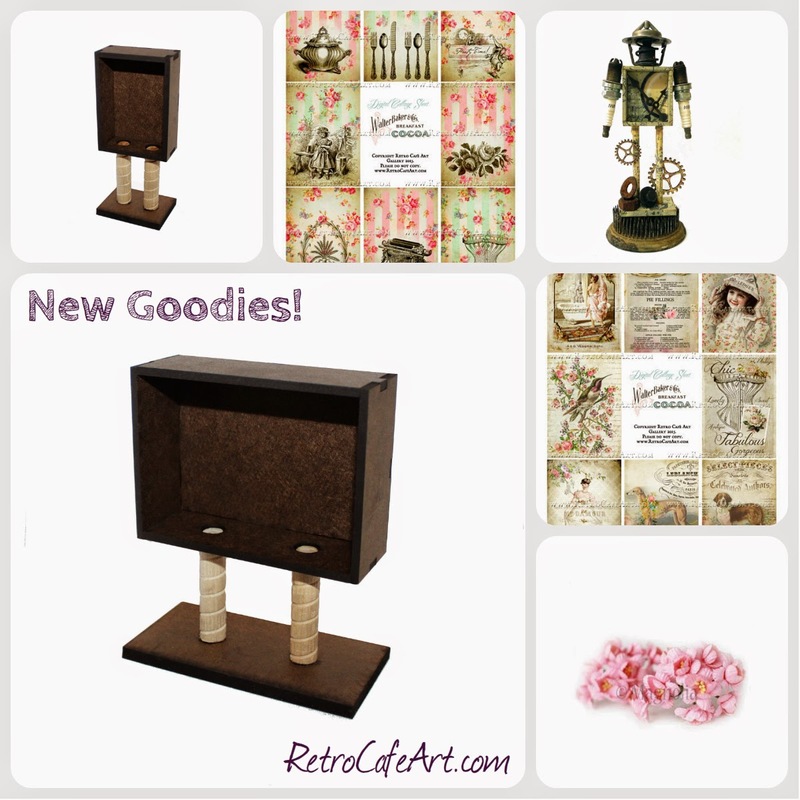 I'm really really excited about this week's new goodies! I've redesigned our cool Elevated Shrine Kits! Now they are sturdier, easier to assemble than ever, and come in more design choices! They are so unique and have endless potential! We also have gorgeous new Collage Sheets and embellishments too. A Big Welcome to Cat Kerr + Inspiraton! I have some very exciting news to share! 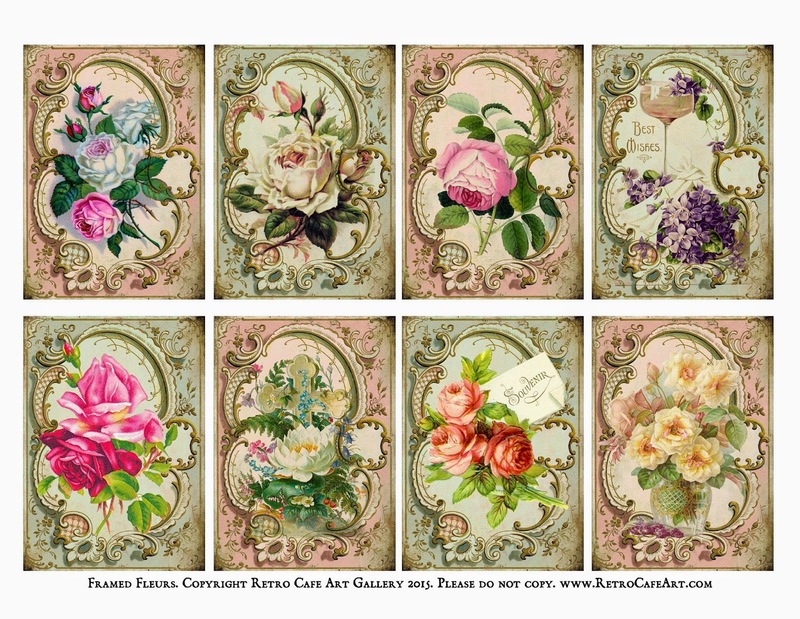 Please help me in welcoming the extremely talented Cat Kerr to the Retro Café Art Gallery Design Team! Cat's work is always so inspirational and heart-felt. No doubt she will be a wonderful asset to the team. We're over the moon excited over here! 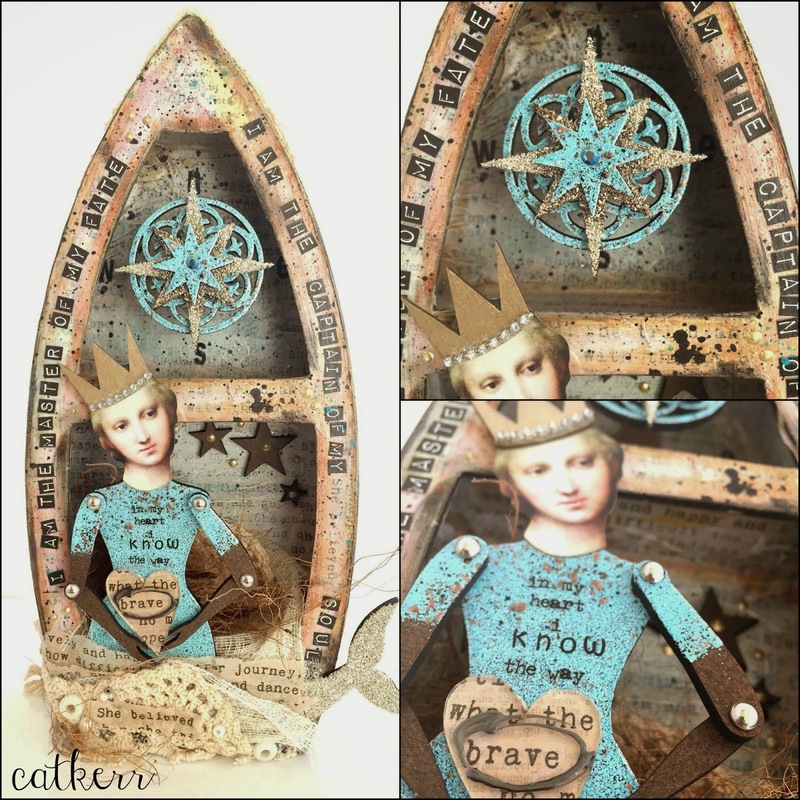 And for an extra special treat, Cat has created an amazing tutorial for you, using our Sailboat Kit and other goodies! Just look how creatively she used the pieces. You can see the full tutorial HERE on Cat's blog! Elevated Shrine Inspiration By Jennifer Ingle! 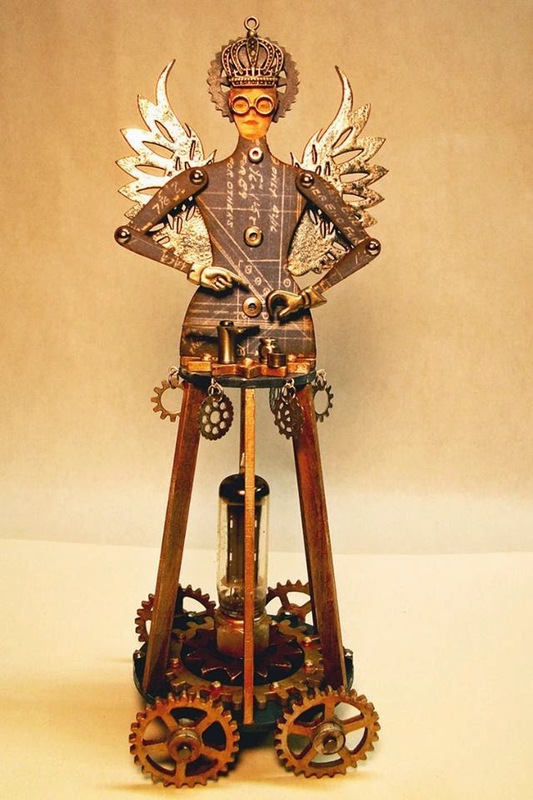 How amazing is this Steampunk Robot by Jennifer Ingle using one of our older Elevated Shrine Kits! Really gets the gears turning doesn't it? So fabulous Jennifer! 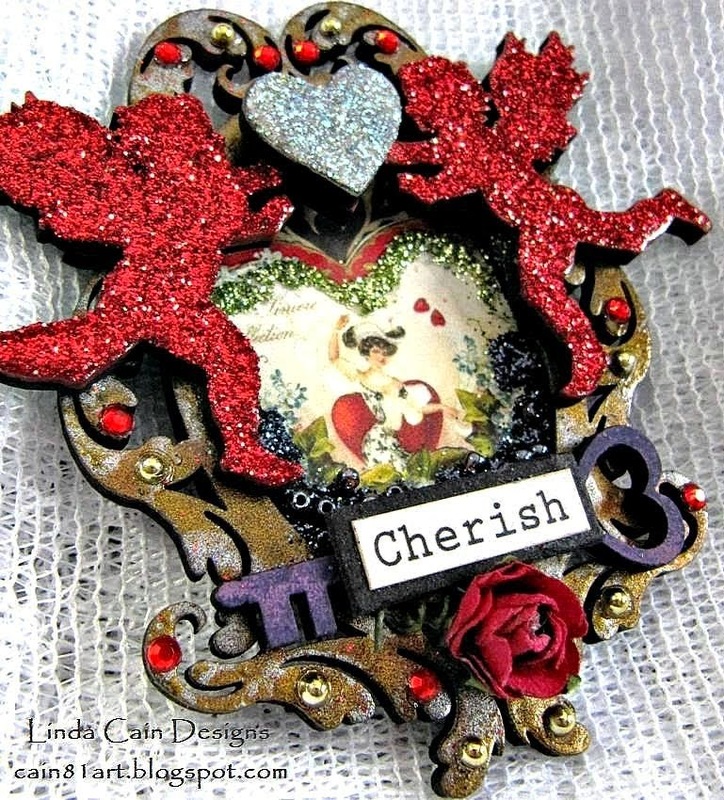 This gorgeous Valentine Cameo is by Design Team Member Linda Cain. Don't you just love the fabulous layers? Check out Linda's blog post HERE for some tips and the full supply list! 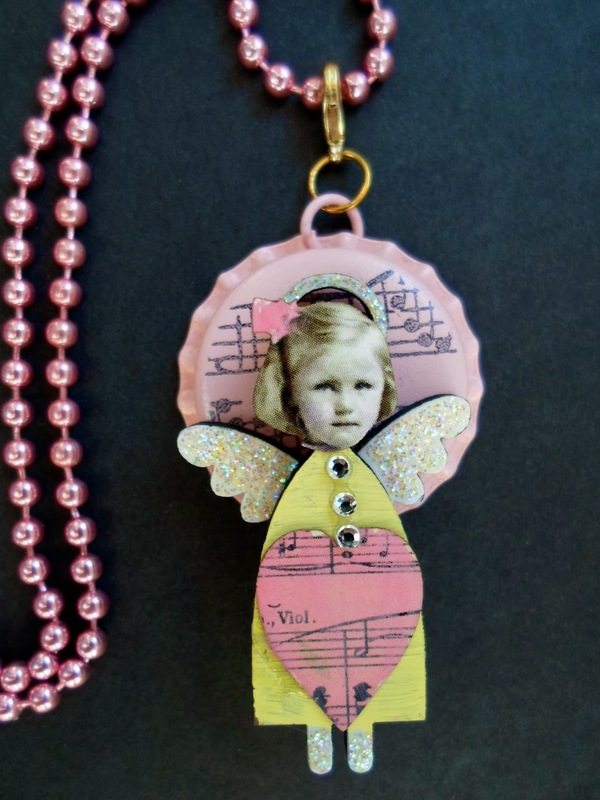 Here is a sweet little project idea from Design Team Member Gerri Herbst! 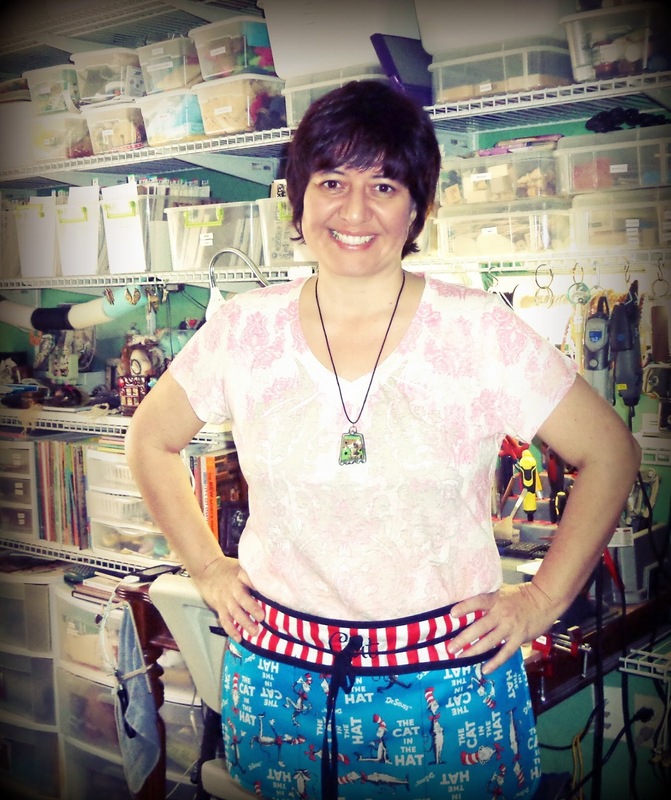 She created a necklace by attaching a Mini Primitive Angel to a Bottle Cap! Perfect for Valentine's Day or any day! Awesome idea Gerri! 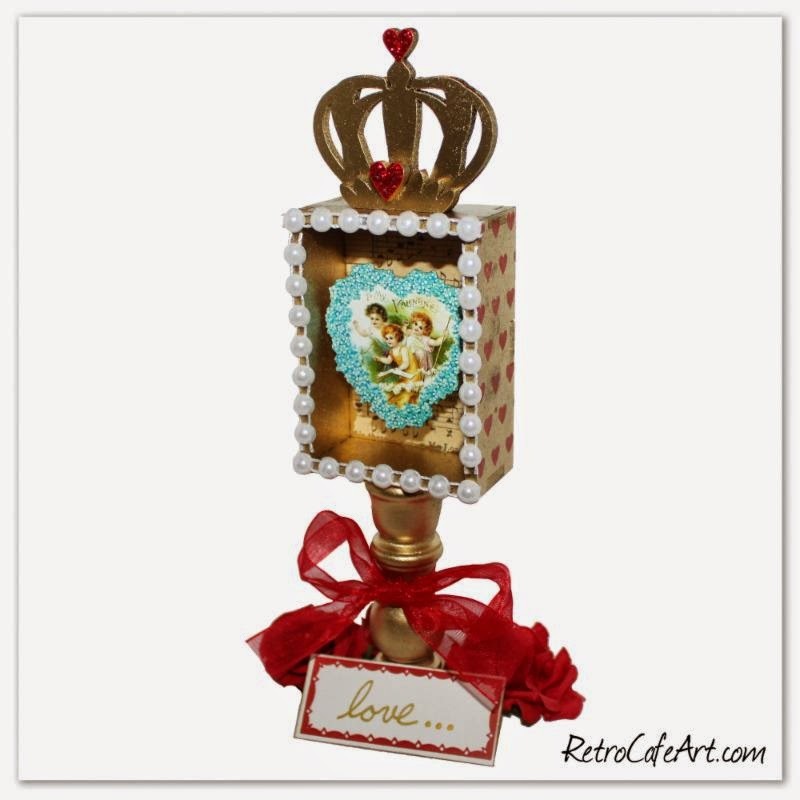 I adore this romantic Crown Shrine by Design Team Member Lynn Stevens! I especially love the way she decorated the crown with bling and Stickles! Really makes the entire piece sparkle and shine! Beautiful Lynn! Happy Saturday everyone! 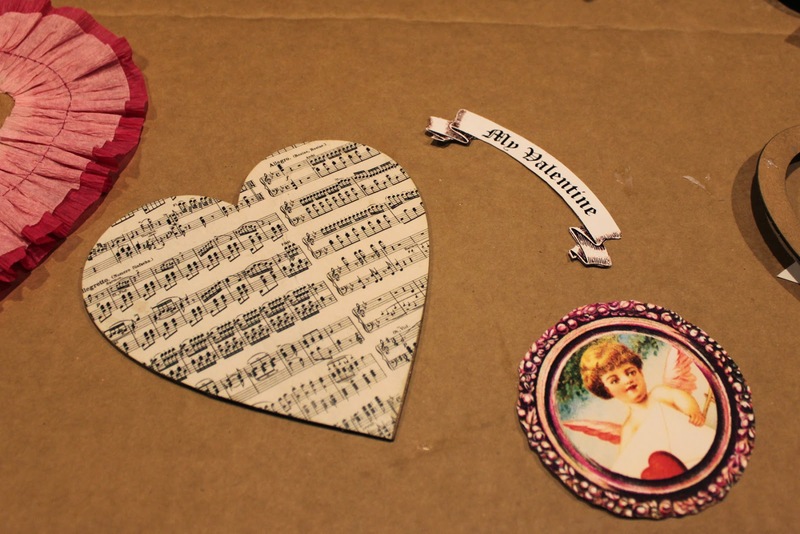 It's time to make some Vintage Valentines! And we have everything in the shop to do it! 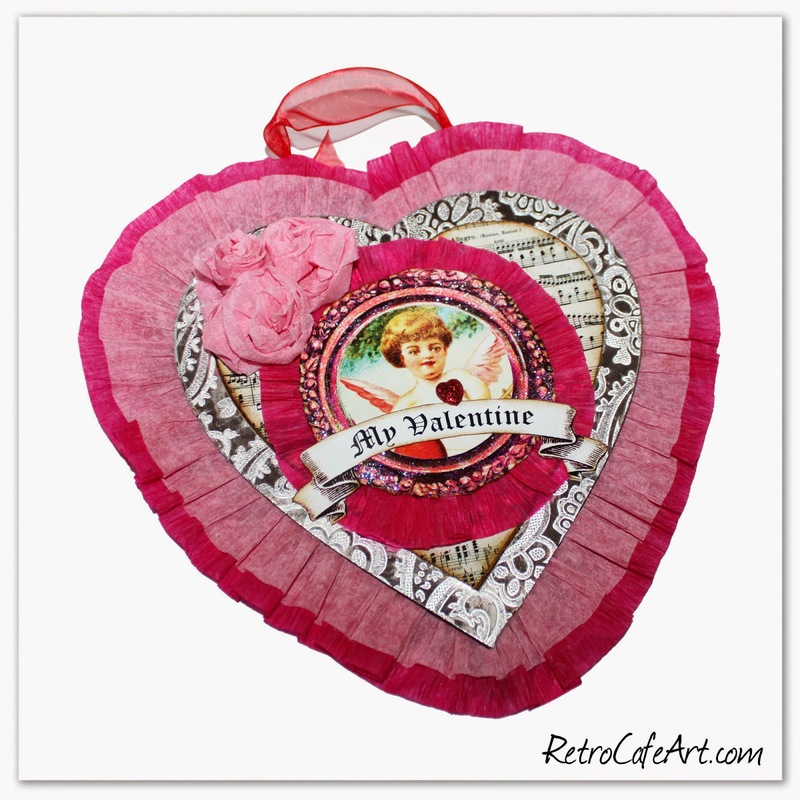 Big hearts with ruffles, oh yeah! 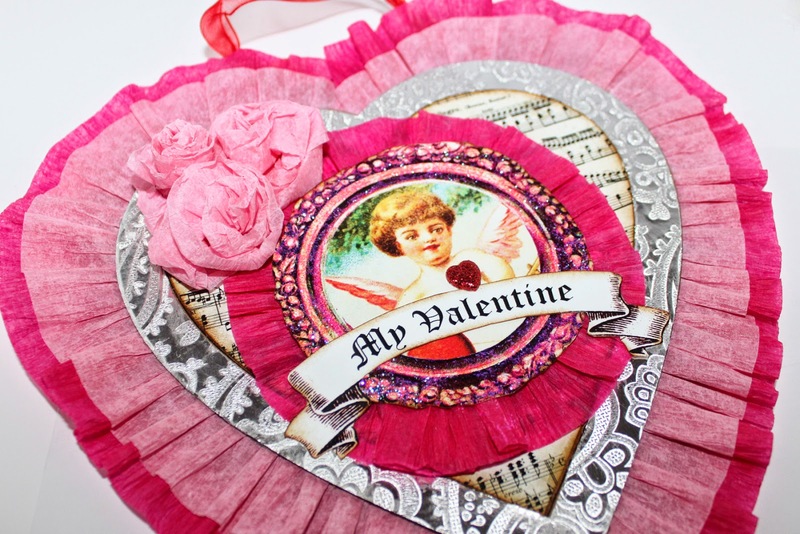 I've been dreaming of vintage crepe paper Valentines! Pinks, reds, glitter, and tons of ruffles! 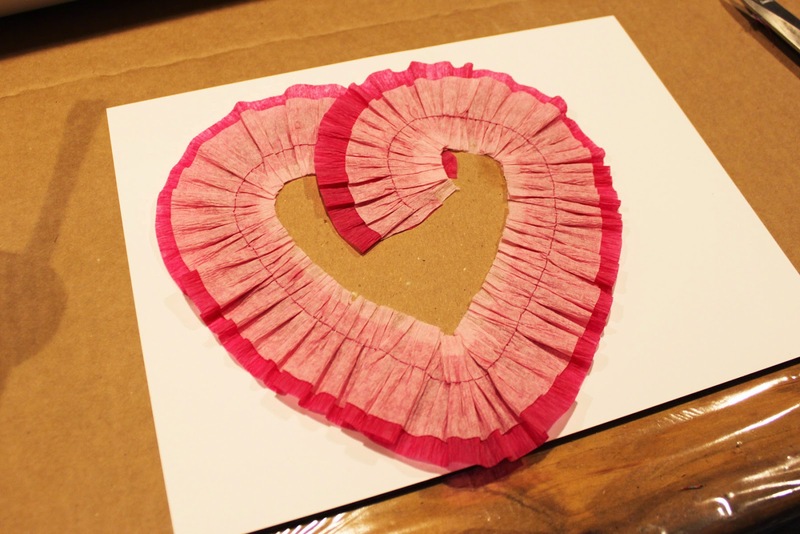 Once I had the crepe paper in hand, I designed the perfect large chipboard hearts! I love that they are nice and big. 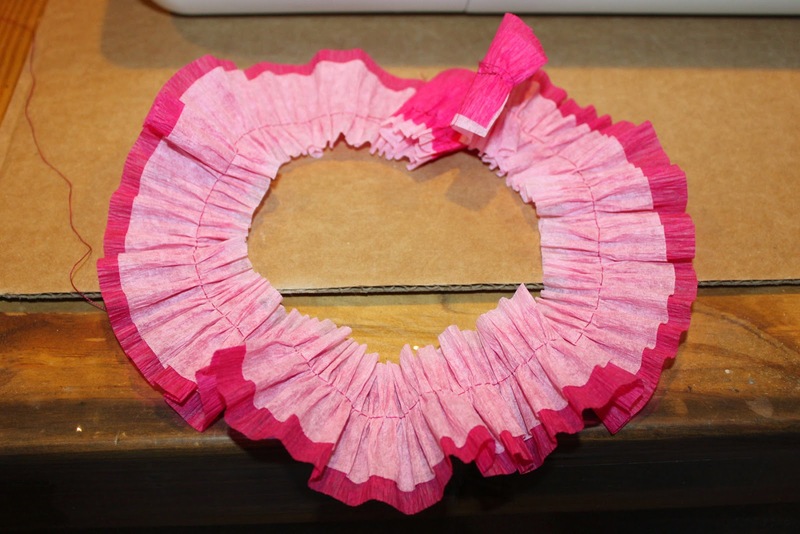 Once you add the ruffles, they are over 8 inches! 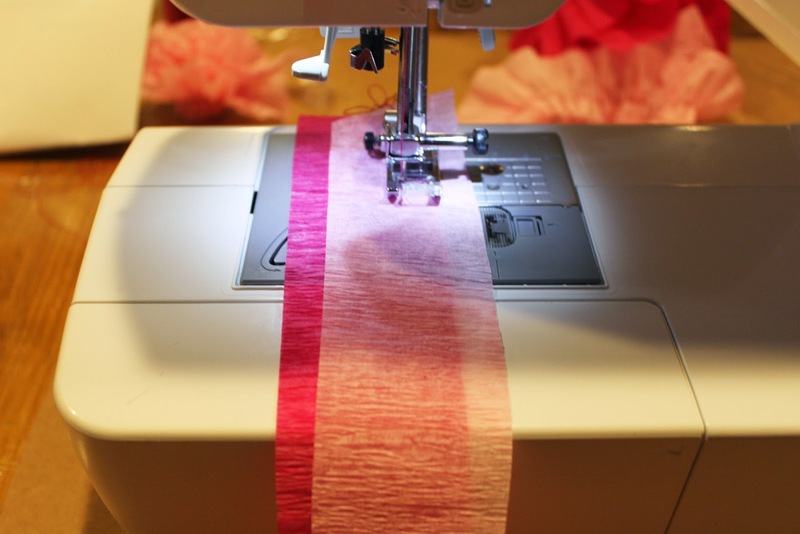 I began by cutting two 36" lengths of crepe paper, pastel pink and hot pink. I sewed the two pieces together, overlapping them a bit. I used the longest stitch (2.5 on my machine) and the greatest tension (8 on my machine) and just sewed in a straight line. The sewing causes the paper to ruffle. You don't even need to pull the strings. The greater the tension, the more ruffle you will have. Look, it's already almost a heart! So easy. This took under a minute! 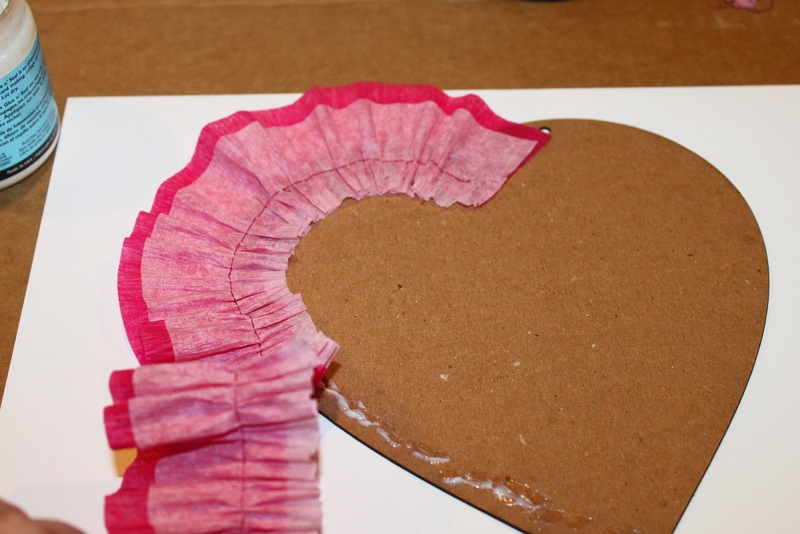 Using Matte Glue N Seal, I glued my ruffle to my largest heart piece. 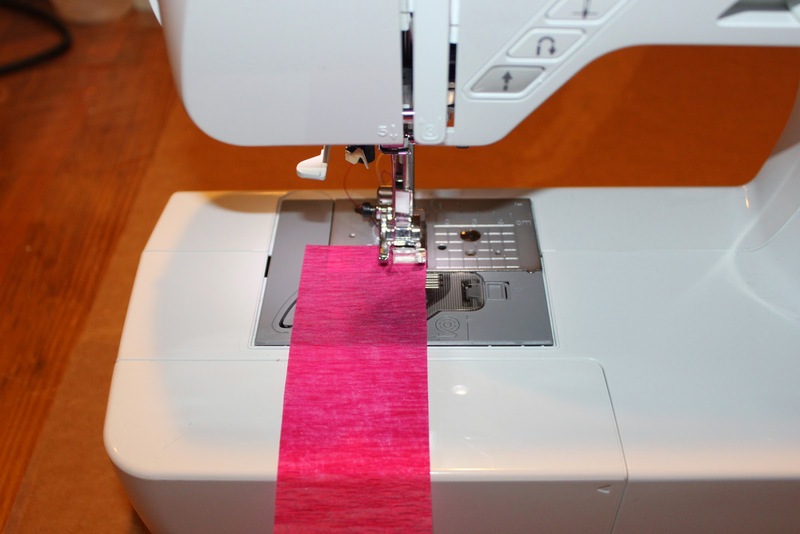 You just want to make sure your heart frame will hide your stitching. It easily worked into a heart shape. 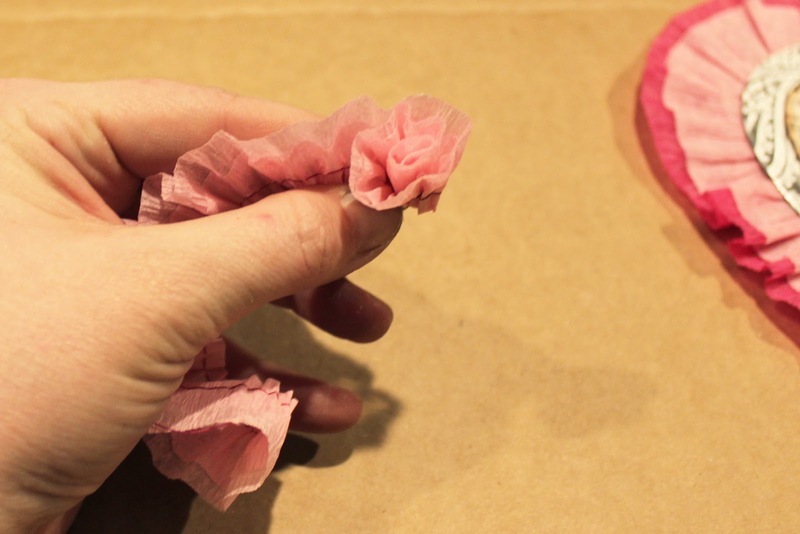 A great way to make sure your ruffle is fairly even, is to check the back! 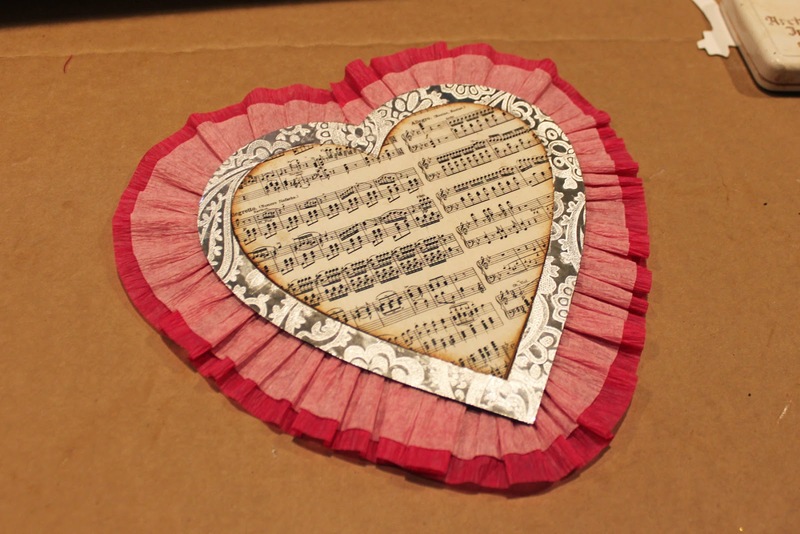 Next I added the Music Sheet Collage Sheet to my center heart, and fussy cut two collage images. I inked all of my edges. 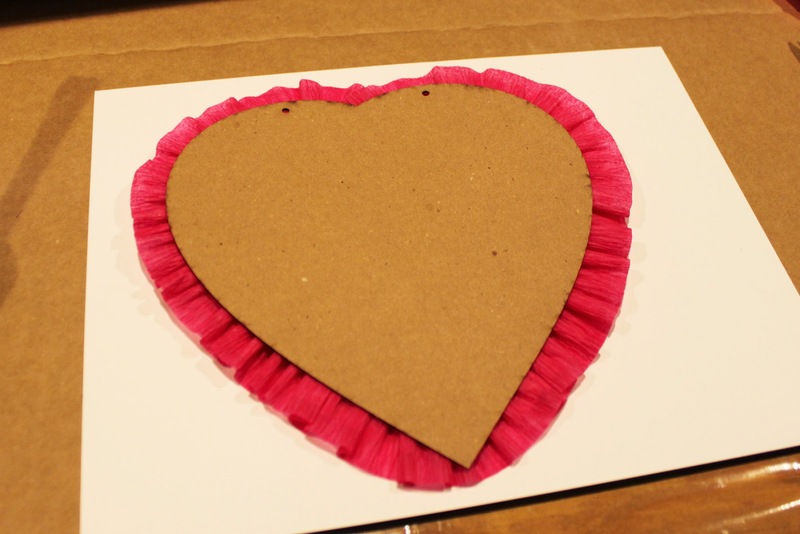 I also covered the heart frame with recycled wrapping paper from Christmas (thanks Sherry!). 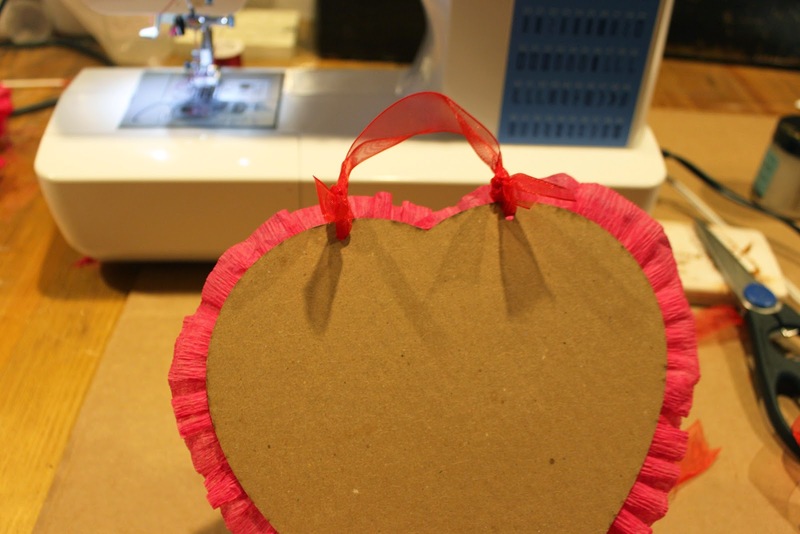 I then attached my two hearts to the large heart using Matte Glue N Seal. 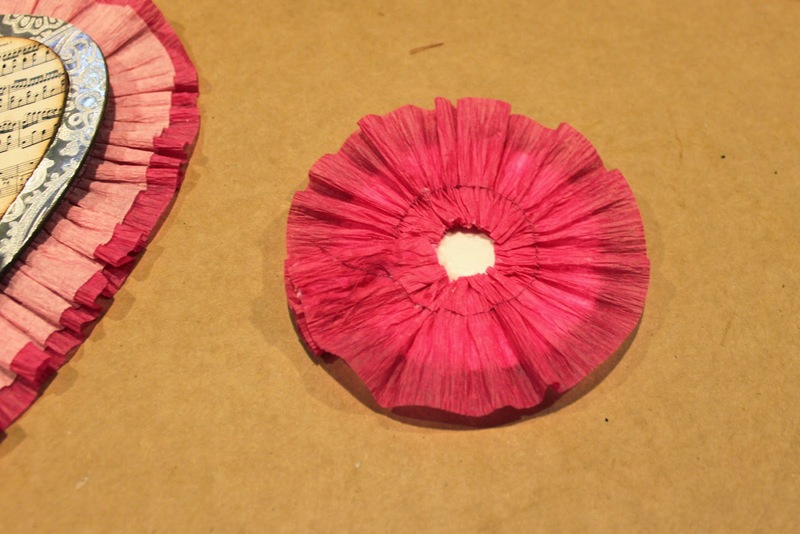 I wanted to make a rosette for the center so I stitched another piece of crepe paper using the same settings above. The piece I used was about 7 inches long. It was already forming a circle! I glued the ruffle to the back of my collage image. 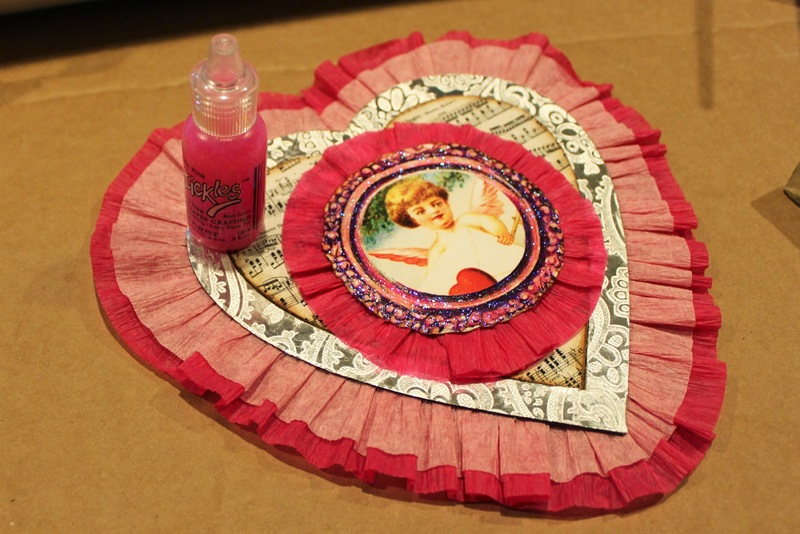 Next I glued the rosette to the center of my heart and added Pink Glam Stickles around the "frame" on my image. I picked Pink Glam since it's more transparent. I still wanted my image to show through. I also wanted to add some crepe paper flowers. 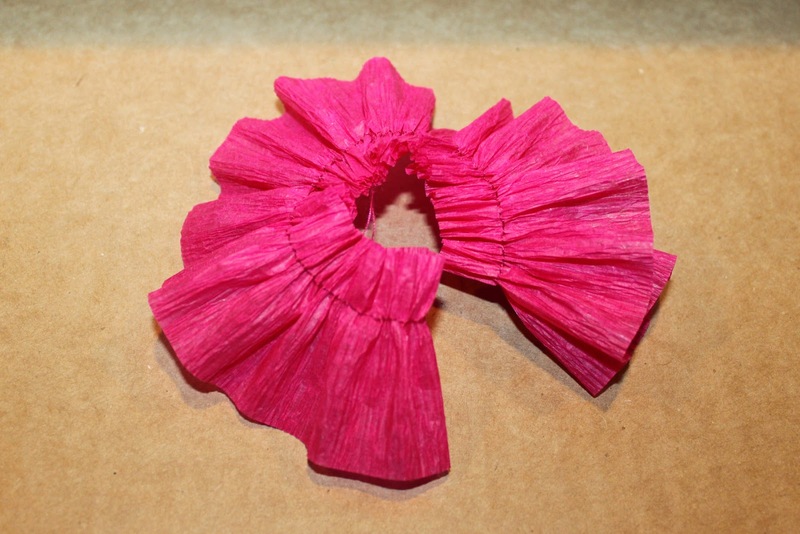 To make my flowers, I folded my crepe paper in half, and sewed along the folded edge with the same settings above. Then I simply rolled and glued. I tied a ribbon through the holes, and it's ready to hang! 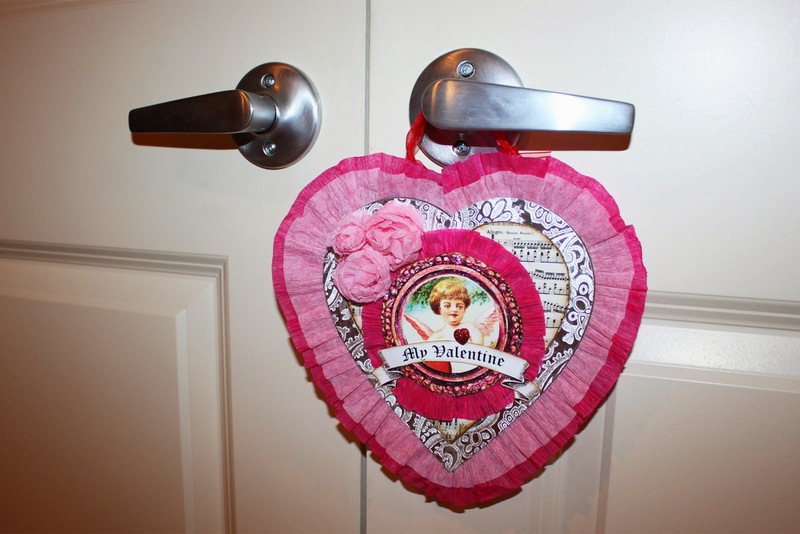 This piece makes a super sweet door knob hanger! Mine is hanging in the studio of course! This gorgeous Snowflake Shrine is by Design Team Member Linda Cain. The texture and sparkle is beyond fabulous. 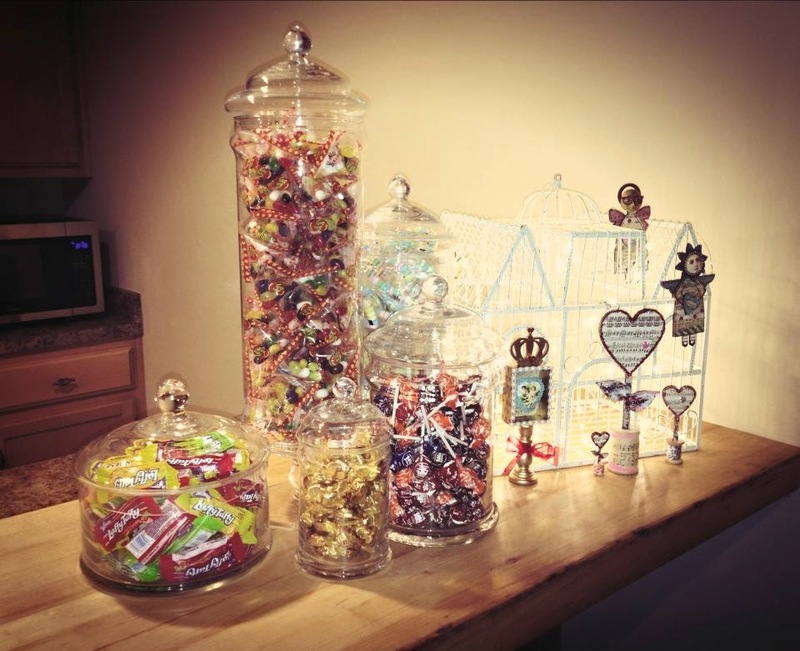 Check out Linda's blog post HERE for some step out photos and the full supply list! 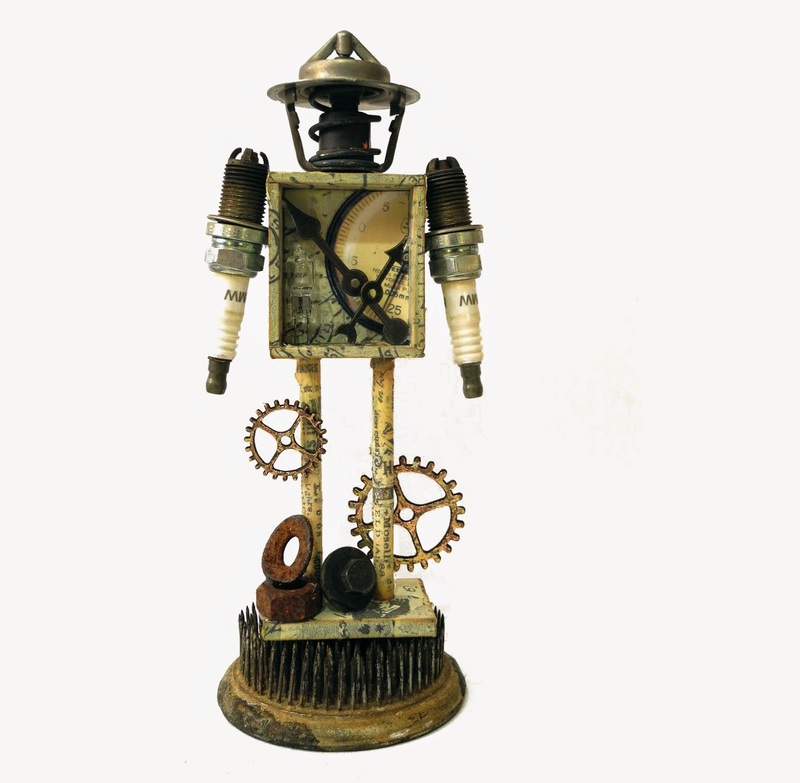 How cool is this edgy Steampunk Santos Doll by Lisa Rupp! We love that she added the Medium Gear Wheels to the base, making her roll! 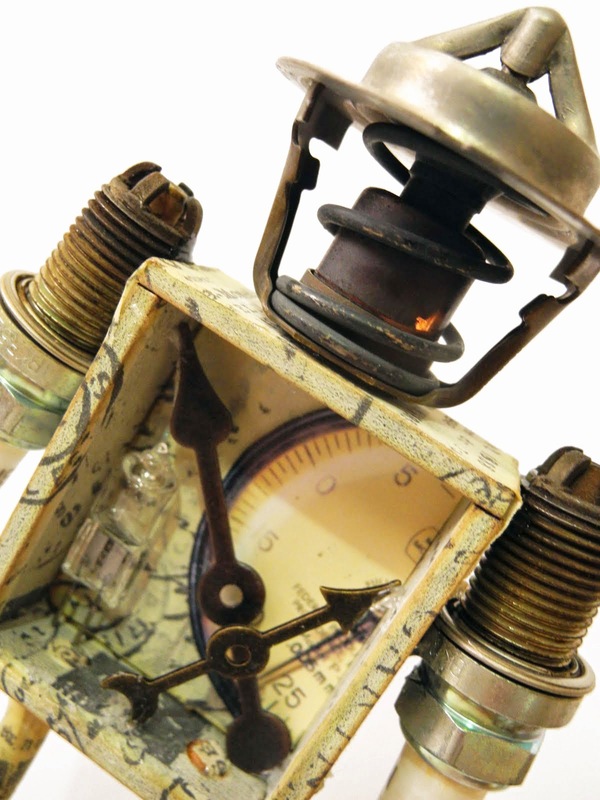 Lisa is know for her incredible Steampunk creations, and you can see why! 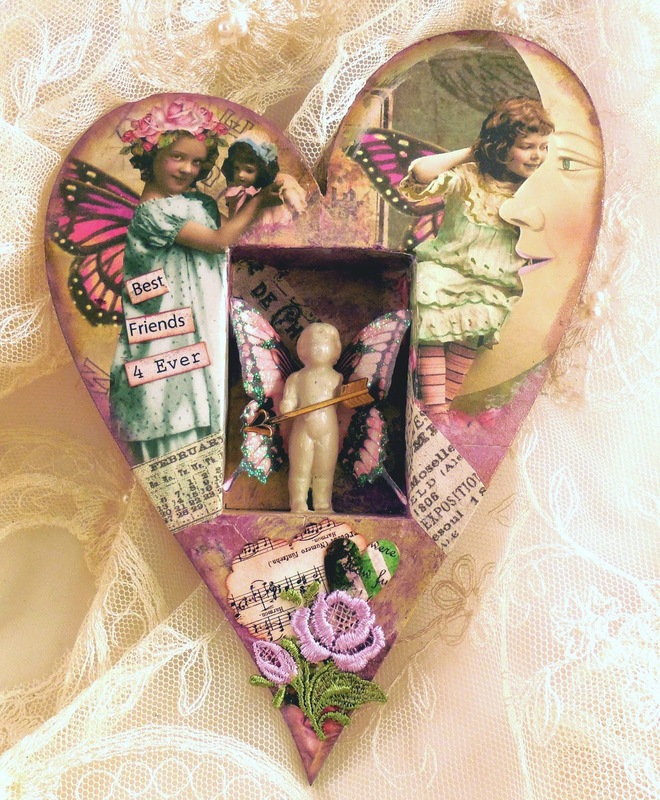 This adorable Primitive Angel Doll is by Design Team Member Amy Nieman. 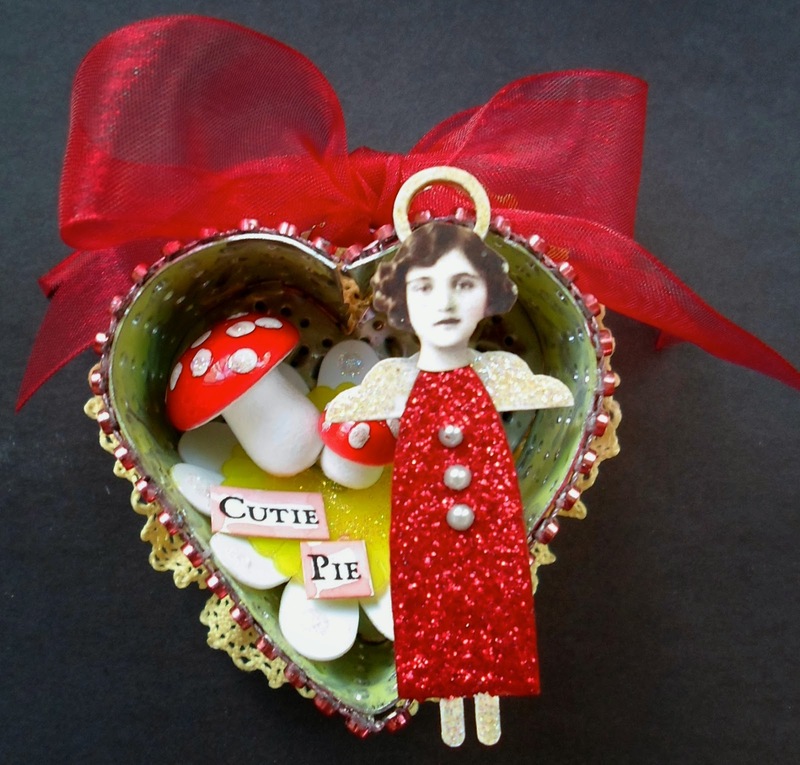 This is one of the small angels, measuring just 2.5 inches tall. So sweet Amy! 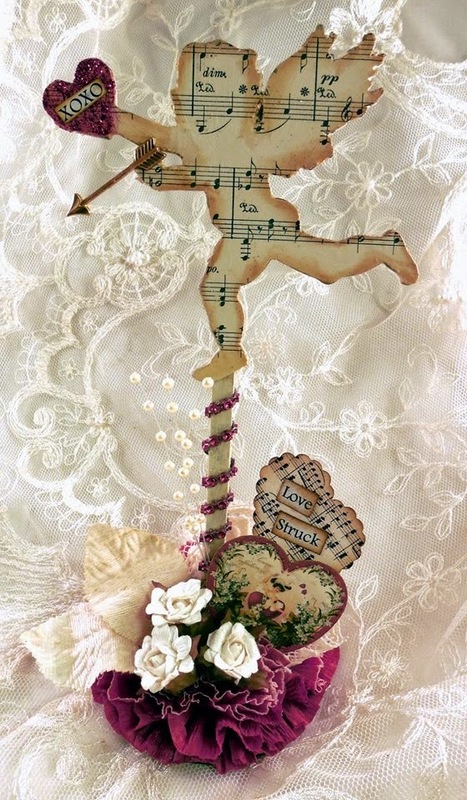 And last but not least, a stunningly romantic Cupid Stick Stand Up by Design Team Member Lynn Stevens! I especially love the awesome assemblage she created at the base! Perfect Lynn! The Retro Café Art Gallery candy bar is now complete. What better way to fill these awesome apothecary jars. Now you know where those sweet treats in your orders come from! Hopefully I can resist eating it all myself! I also wanted to let you know that we have an awesome announcement coming up! I'll fill you in Monday on Facebook and next Saturday right here in the newsletter! 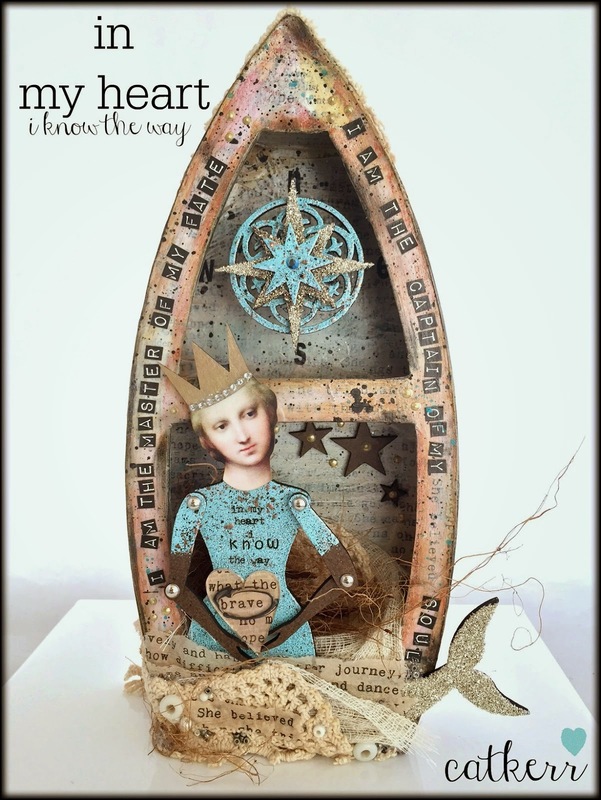 Collage Sheets, German Doll Parts, Shrine Kits, Stencils, Jewelry Supplies, and so much more! Click HERE to see the full list of product tutorials!